The first thing that stands out is the sheer number. 200 ingredients in one day. Without checking it thoroughly, it seems like salt and sugar popped up quite a few times, as did a few other things like maltodextrin, corn syrup, corn starch and other preservatives. All in all, removing repeat ingredients, that’s still probably almost 150 different ingredients I ate today. And that’s from a pretty simple day of eating, including both homemade soup and chili. Where did the big numbers come from? Tacquitos = 82, or 41% of the total. That’s the big one. Kelp seasoning blend = 25, 12.5% (although those are basically all herbs and spices). Asparagus soup = 19, 9.5% (although 12 of those were from the chicken stock). Dark Chocolate Almonds = 15, 7.5% (although 5 were repeats). The only other food over 10 was the salad, but that’s due to all the different types of lettuce. The other thing I noticed was how many ingredients came from the 3 things I drank that weren’t water. The coffee, due to the cream, had 8 ingredients. The tea had 6 and the kombucha had 8. That’s 22 right there. I usually try to use plain cream with no additives, which would have knocked out 5 ingredients. I also don’t usually drink tea and normally drink a kombucha with 3-4 ingredients so a normal drink day would only have 6-7 ingredients. 134 different ingredients. 52 from the additive category. Yikes. Add the 37 from the spice category and you get 89 from the two add on categories. After putting all this together and analyzing it, along with realizing this day was a bit more ingredients than normal, I decided to keep track again on Thursday. Same amount of calories as Monday. A little more carbs and less fat but protein stayed roughly the same. In total, almost half the ingredients of Monday. The big numbers on this day? Asparagus soup: 19, (again 12 of those were from the chicken stock). These 5 foods equalled 70 of the 102. Add in 16 from the Kombucha and coffee and you got 86 of the 102. 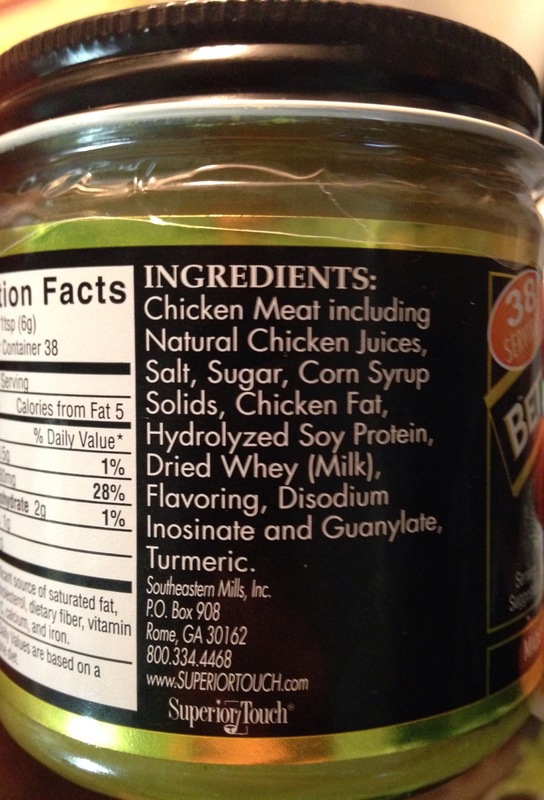 Once again sugar and salt creep in everywhere and the yogurt and chicken stock contributed a bunch of ingredients in the form of additives. 80 different ingredients. 32 additives + 14 spices = 46 add ons. Everything else was balanced pretty well. All in all, this was a very interesting exercise for me. It shows me how easy it is to consume a lot of different ingredients in one day, even when you don’t eat at a restaurant. Without a doubt, and as to be expected, the more processed and prepared the food was the more ingredients it had. My next day of ingredients will be as minimal as I can do, while still keeping a normal day of food intake for myself. Although it would be easy to fast all day or just eat sardines and bananas, I’d like to see how few ingredients I can eat while not doing anything extreme. I’ll update this as soon as I get that day done. The other big thing that stands out is how little information you get from just looking at calories or even the carb/fat/protein ratio. These numbers tell you next to nothing about what you’re putting into your body, particularly when you’re talking quality of the food. Additionally, just a basic food description only tells you so much, because just stating someone ate a sandwich doesn’t tell you what’s actually in all the things that make up the bread, meat, dressings and toppings. Obviously we can’t go around recording and analyzing all the ingredients we eat each and every day but hopefully things like this can get us to trend more toward eating in a way that would include much simpler foods. P.S. A couple years ago this was my take on things, Simplify Your Meals. Previous Who Do You Think You Are, Homo Sapiens?